Taking stock of the last year, and previous years opportunities leading up to today, and looking forward to new challenges and accomplishments in 2019. Starting in 2011 I was fortunate through the wonders of serendipity to meet my teacher/trainer/sensei/friend, Avi Nardia. At that time I was still looking for better solutions to the problems that arise when you are required to address violence in some of it’s many forms. I’d started my search in 2009, and was lucky to find other like-minded professionals that had already done the hard work, and come out on the other side with new-found knowledge. And here’s the kicker—they were all willing to share their knowledge. In 2011 I’d started to venture a bit to share some of my knowledge and talents with some of those very same teachers. I edited my first book by Peyton Quinn, after doing a read on another one of his novels. 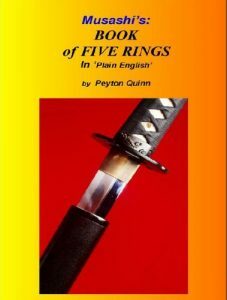 I was thrilled to be asked to help out, and the result is Musashi’s: Book of Five Rings, In Plain English. 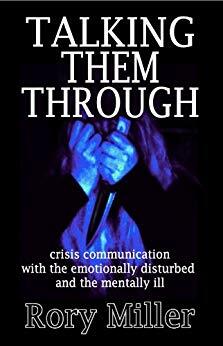 In 2012 I ‘encouraged’ some would say, but I know the author would agree, I pushed Rory Miller to put out one book that became Talking Them Through: Crisis Communication with the Emotionally Disturbed and the Mentally Ill. I asked a few of my contacts to also help provide feedback and input. I am so very blessed to have been able to contribute to a book that is close to home, and thankful to have found Rory. His work was the start of a journey. 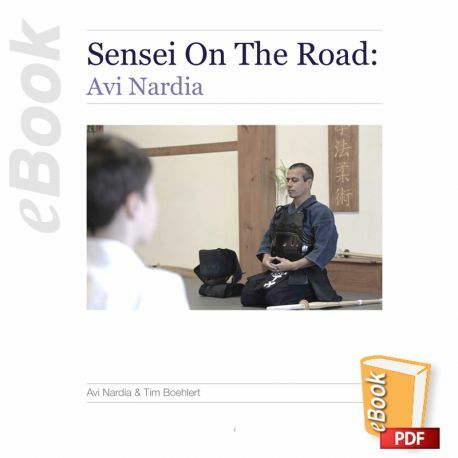 In 2017 A(well, really 2015.. wait, 2012… yeah, 2011) I was able to not only Edit, but contribute and co-write many of the stories found in 2017’s Sensei On The Road, with Avi Nardia Sensei. This book is a compilation of many of our published articles (Budo International and Conflict Research Group International) that we were lucky to have a chance to do, plus other material that Avi put together outlining just some of his travels around the world training. In 2017, I was again sparked to get re-involved in doing research on Active Shooter events and subsequent training. I stepped up my professional credentials a notch and got re-involved in the community’s response. In January, I read a new book on the subject by Aaron Jannetti, and wrote a review for him on Amazon.com, which I think was received well by the author. Immersing yourself in these events is difficult at best. Reading his book brought out some of that difficulty, but in a very good way. His work and his efforts are to be applauded. To my knowledge his work is the first that I’ve seen that is truly on the right road to getting help out into the community that needs to read it, hear it, see it and experience it. Kudos Aaron. 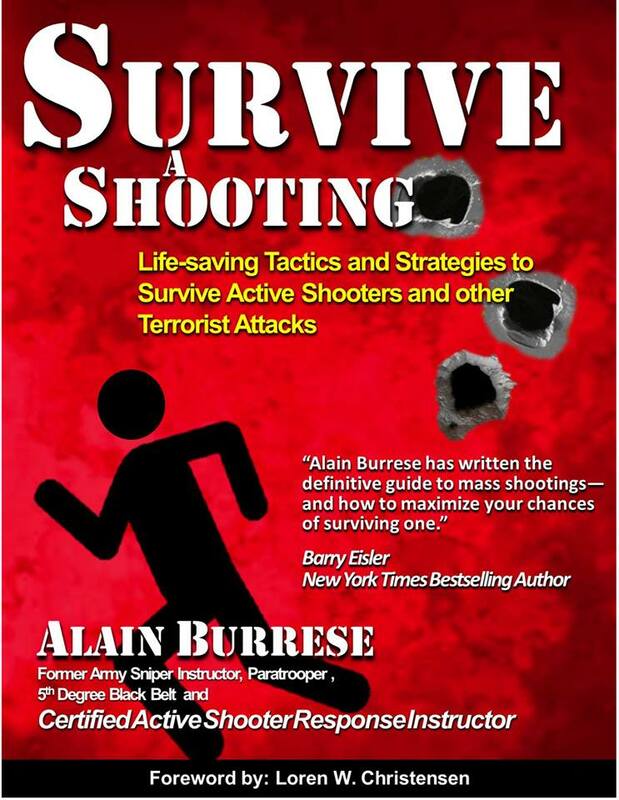 In early summer 2018, I was asked by author Alain Burrese if I’d help him with his forthcoming Surviving a Shooter book. As with Rory’s book, I added my two cents, did a lot of editing, and I think his book is another on that needs to see the light of day for those seeking answers to the AS event. Alain is a trainer in this are of expertise as well, and has come up with a good book that will surely help others. In late fall (early winter?) I was asked by Loren W. Christensen if I’d help him with some editing for a new book that he’d been working on. Loren is also one of my early influences, and fluent and frequent resources that was able to keep me safe in a violent environment for many years through his writing and teaching output. He had been working on a book and started to send me chunks of it. I not only helped out, but learned at the same time. Loren really doesn’t need anything more than just another set of four-eyes like mine before he releases any of his work. Truly. 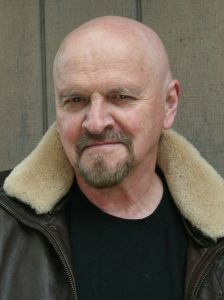 Not only is he a great teacher, but a mentor as well, and a very prolific author – with over 60 published titles to date. A very humbling experience, for which I am grateful. 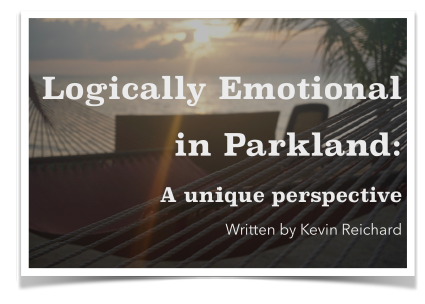 I’ve just finished a read of a soon-to-be-released book that tells one family’s story about the mass killing of students and faculty on February 14th, 2018 at the Marjory Stoneman Douglas High School in Parkland, Florida. The book kept me fully engaged because of how it was written as much as for why it was written. Within a few short hours I had consumed 3/4’s of it—in one sitting. It was that riveting. 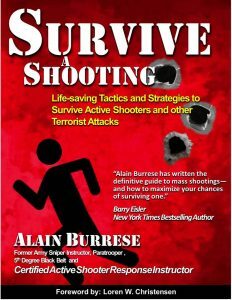 I have studied Active Shooter events since that term/label came into general acceptance many years ago. I’ve done a lot of research on the subject since 2012, and have read a lot of the how-to books, attended some of the local AS training seminars as well as that training provided to the public by the DHS, and I’ve pondered many of the difficult issues surrounding these events for the ensuing years. I have my personal thoughts, and have come to some of my own personal conclusions. I also have zero first-hand experience, like most of us. What makes this book unique is partially because of who wrote it. That can also be split again into because of who wrote it. Confused? The author is the parent of 2 of the students that were in the school when the event happened, and the uncle of another one. He’s also easily more studied on AS events than most of us, which comes into play. I hate to call this book a story but it really is. It’s a first-person’s view from the ground of what happened that day in a small community where too many believed that something like this could never happen. I literally ran through most of this book because it was that captivating. It drew me in, and held onto me. I couldn’t stop, and I didn’t want to either. Okay, so the core of this book is about the family. How this event changed lives, changed ideas, changed plans, changed perspectives, and changed kids that weren’t ever prepared for this. There is just such a great model here of what the American Family symbolizes to many of us. It’s a firsthand look into the atomic family—a dad that works hard to support his family, maybe with an un-conventional day-job, but I guess that depends on your outlook. A mother that gives back to the community in her own way and through her job. Two sisters that are on the verge of adulthood, but maybe just a few short years away. Here’s the fallacy: The thing that will never happen here… does. Through the first few minutes, then during the course of the ensuing hours you will learn what it could be like for you, for your family. One major difference from this point on is that you start to learn more about how this family functions—so many differences from the ‘norm’ that I’d guess most families adhere to. There is so much to learn from because of those differences though. There truly is a lot to be gleaned here. Lessons that we need to pay attention to, and ultimately a conversation that needs to be had. Having no expectations going in, I came out having my own at the end of the book, and here’s my hope: I hope that you will purchase this book first and foremost for the best reason possible. Secondly, I hope that you’ll see it for what it has turned out to be—a call to all of us to come together to find workable solutions that will save lives. 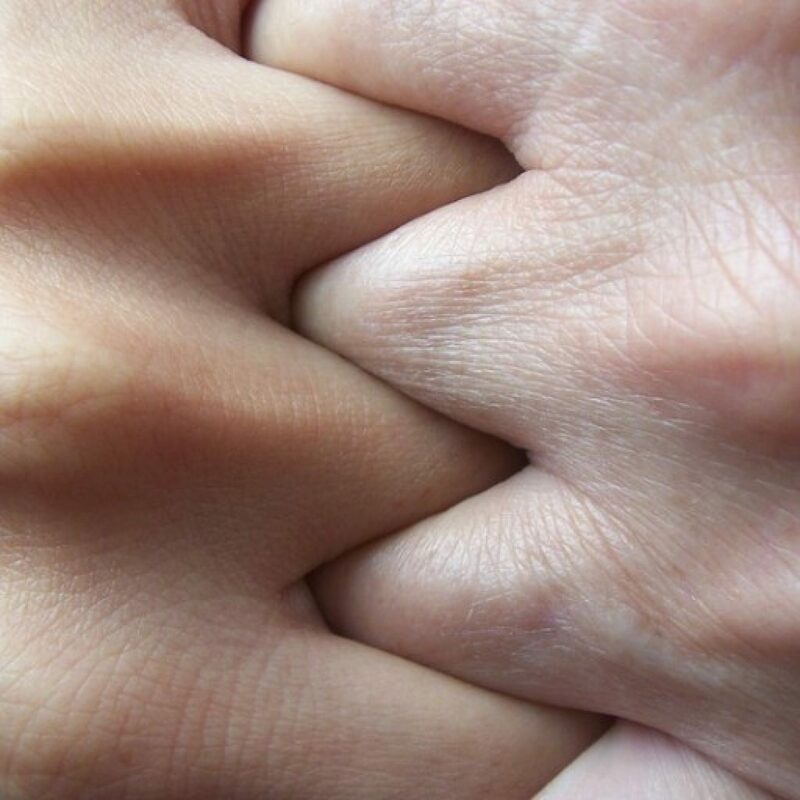 Thirdly, I hope that you’ll start to consider that we’re all in this together—even if and when we don’t agree on certain specific issues. We need to solve this together, there is no other alternative. My thanks to the author, and to his family for sharing an event that had to be doubly difficult to re-live through this books birthing process. As tragic as the events were, it is uplifting to read and hear such a strong message from those who could have as easily turned away, and left us all with nothing more than speculation, and bad information that is all too often spoon-fed to us by the media—and with their agenda in mind, only. I have been an avid reader of Loren’s materials for 10 years. I own about 40 pieces that he has published – books, e-books and DVD’s. For me, Loren is one of those interesting guys that you’re lucky to find – not only is he a martial artist, but he’s also a retired police officer, and veteran. 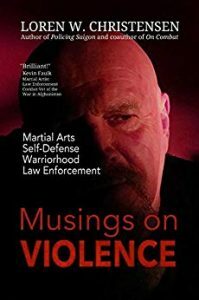 I had been looking for help with how to deal with violent people in my new profession, and Loren was one of the very first authors that I was able to find that could answer my many questions and provide helpful ideas and techniques. His materials were very helpful and rise to the top of the pile because of his background and experience dealing with violence. This book, made me smile (his references to Robert Koga), made me laugh (too many stories to count), and had me learning some new ideas as well as techniques. Loren shares some of his experiences as an MP in Saigon, during the Vietnam war. He also shares some hard-won wisdom from his 20+ years as a police officer in Portland, OR. His writing style is easy to read, thoroughly enjoyable, and you will learn something along the way. There are very few authors that impress me as much as this one does. His knowledge, and his pay-it-forward style proved very helpful to me personally. I’ve often promoted his work, because he has been partially responsible for my safety for many years, no small feat. I’ve learned a lot along the way, and again, with this new book, gained new insights into some of the behind-the-scenes background that made this man who he is today – the good, along with the bad. The mistakes made, the lessons learned, and his work ethic. BUY this book if you want a good read. Kudos to Mr. Christensen. Loren is one of my favorite and most prolific authors in the world of martial arts, and policing. I’d found him many years ago while doing research on ways to keep myself safe in a violent environment. Thankfully, there were some rules in place, but sadly ZERO training options that addressed that violence in any meaningful manner. 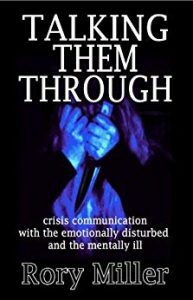 I decided to find my own helpful resources, and during that time found the multitude of items that Loren had already produced to that end, which include several books and DVD’s on how to control violent people. Keep in mind that this information is not solely for law enforcement or martial artists, but is relevant to anyone that cares to come out of an encounter in the best possible manner. Violence is many things, and I can tell you that after years of dealing with the violent, that you want to seek out a teacher like Loren. I can also tell you that this is NOT a technique book, in the traditional sense, unless you are open-minded and understand that violence is not just a physical entity, but also a mental game. Loren is good with both. 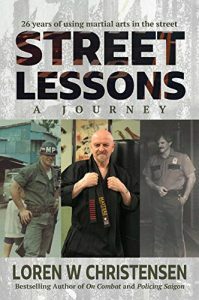 And his years as a martial artist, and his service to his country in Vietnam, and then his 20+ years of policing, which included gangs and riots amongst his other every-day duties, more than qualifies him to teach and talk about those experiences. This book covers a lot of ground. Each War Story has meaning and purpose. Each individual chapter has depth and tokens to be shared. Most of what is in here is knowledge to be gathered and pondered. Some of it you already know maybe, but a lot of it came at a cost. I am thankful for his journey, and more so that he chooses to pass on his knowledge to guys like me that can truly benefit from his triumphs and pitfalls. There is just so much in here that had me smiling, or nodding my head – ‘uyup.’ You will get great insights on how to deal with everyday encounters. Perhaps you’ll be thankful for what he has provided to keep your community safe, even because he likely has no idea of how his experiences have benefitted guys like me, and that has benefitted your either directly or indirectly. Be thankful that there are people in the world like Loren. Be thankful that he is one of the good guys. Be thankful that he can also pass on his knowledge in many forms so that you didn’t have to pay the price of admission, but got to see the show anyway, because he did. I am.